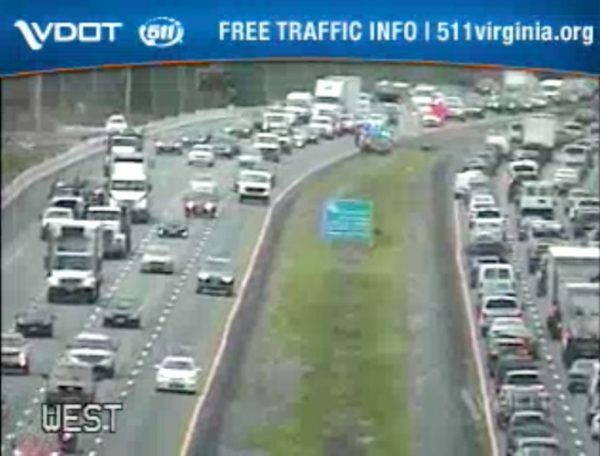 (Updated 1:50 p.m.) A crash on I-66 is causing substantial delays near Vienna with one lane closed in each direction. The crash was reported around 1:35 p.m., with one eastbound lane closed, then a westbound lane closed a few minutes later at the same mile marker. Emergency crews are on-site assisting a vehicle in the median. Traffic is still moving in either direction, but with residual slowdowns in either direction.